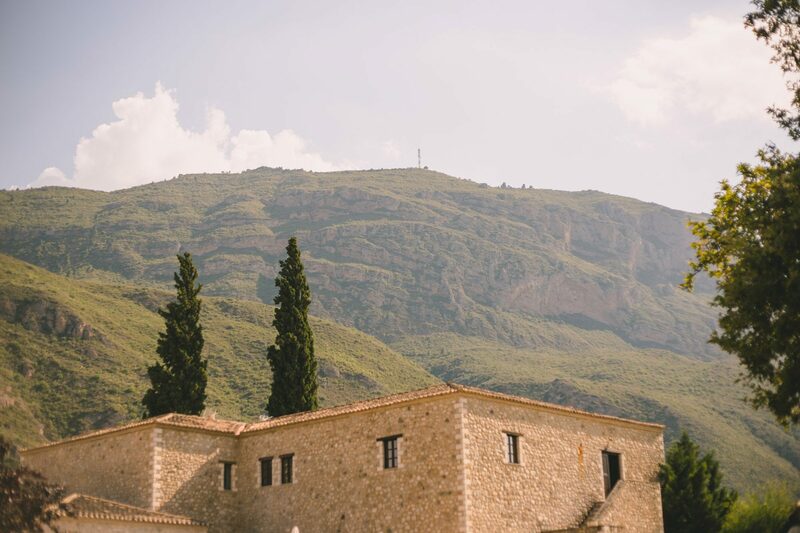 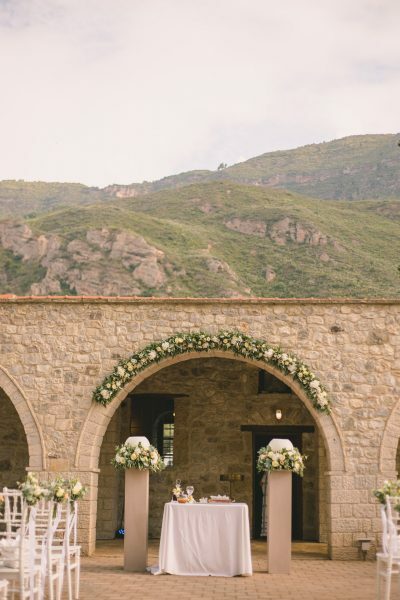 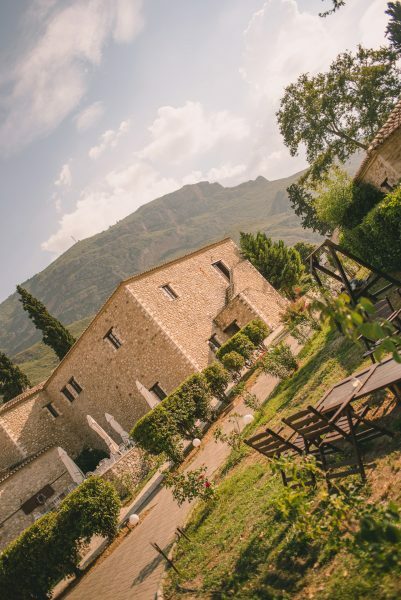 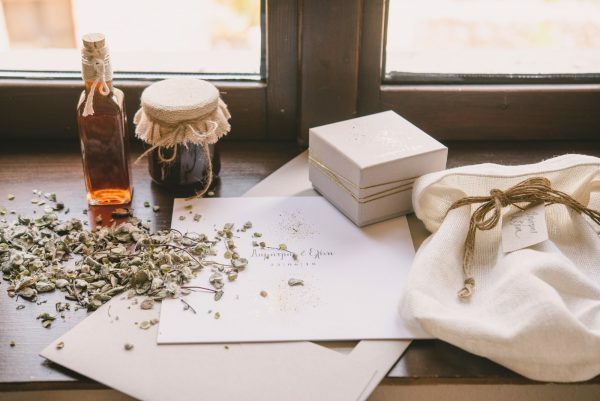 Who could have imagined that an old Monastery would be transformed into a beautiful hotel capable of hosting and accommodating a demanding event such as a wedding? 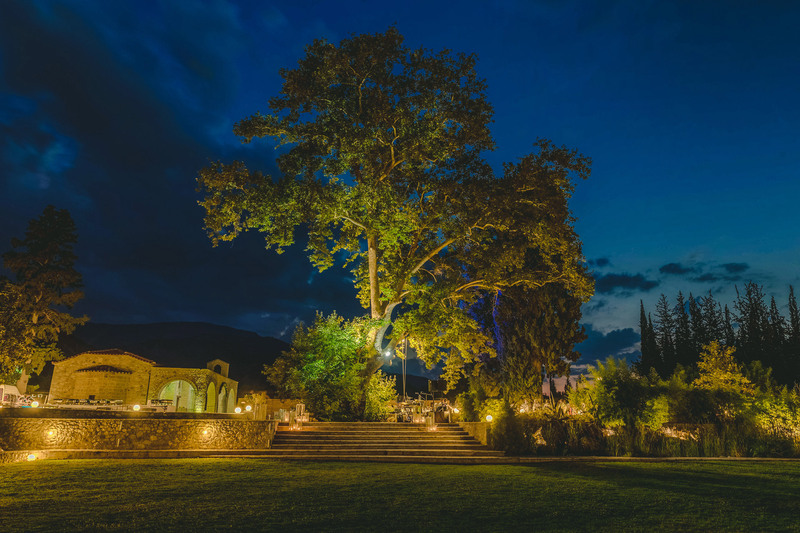 The 42 stone-built rooms, which began to be built in 1840, exude intimacy and majesty, while the old olive press and the monastery’s stables were converted into two wonderful restaurants. 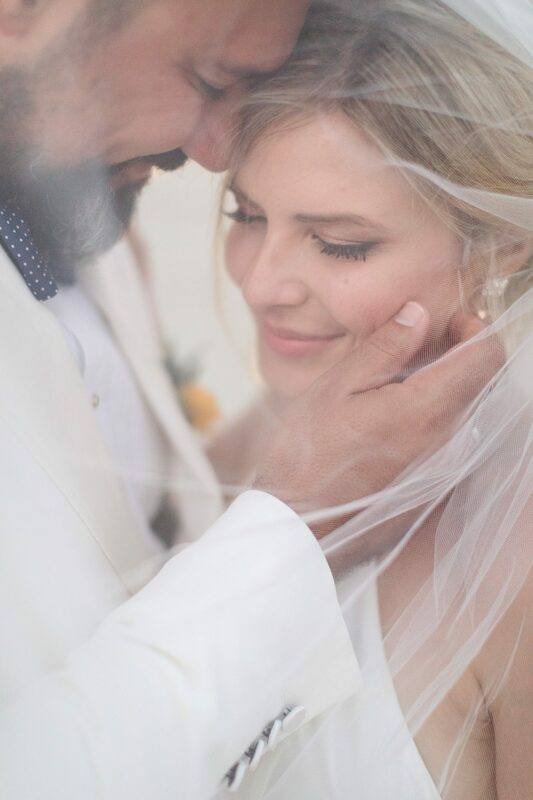 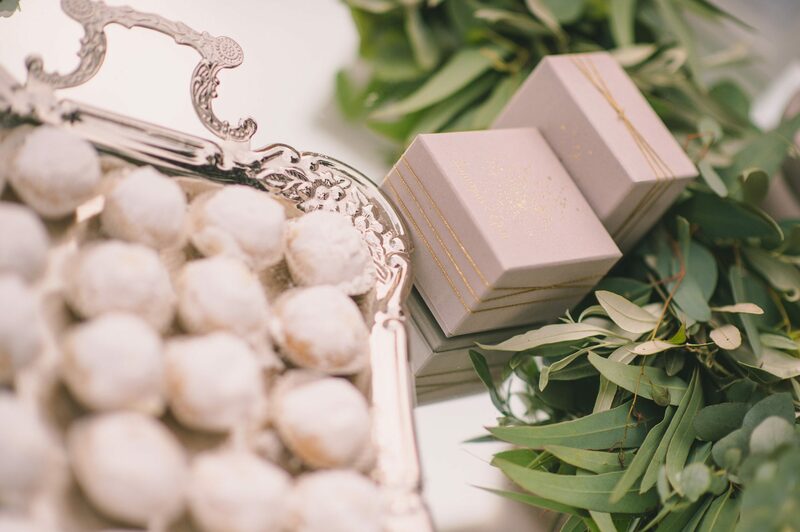 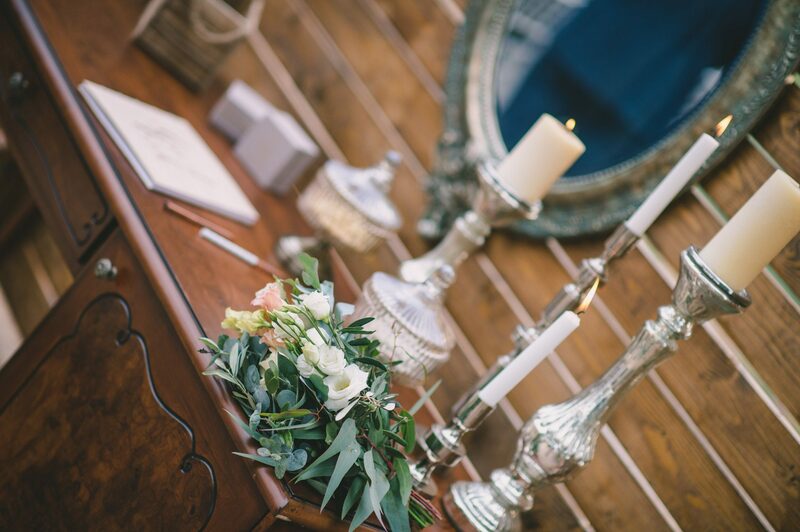 We are so in love with this wedding, we could spend days recollecting memories of this three day event. 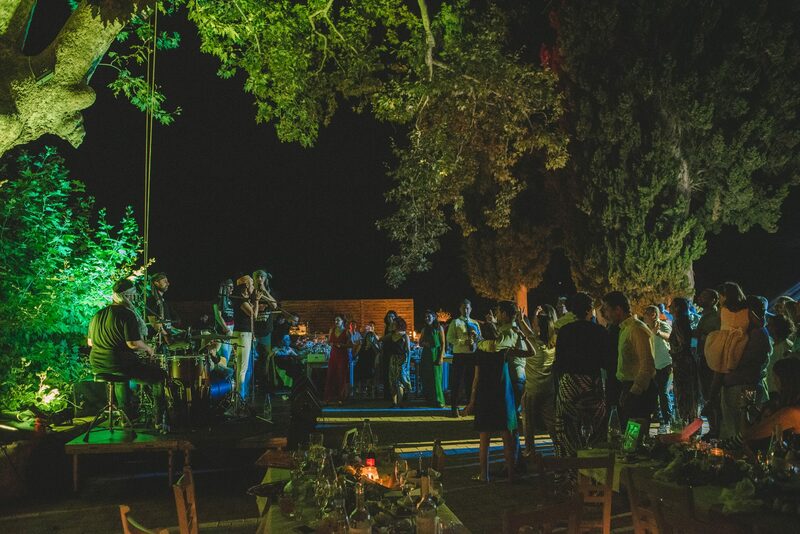 The pre-wedding cocktail party by the pool, was the perfect welcome for all the guests who traveled from around Greece to be there. 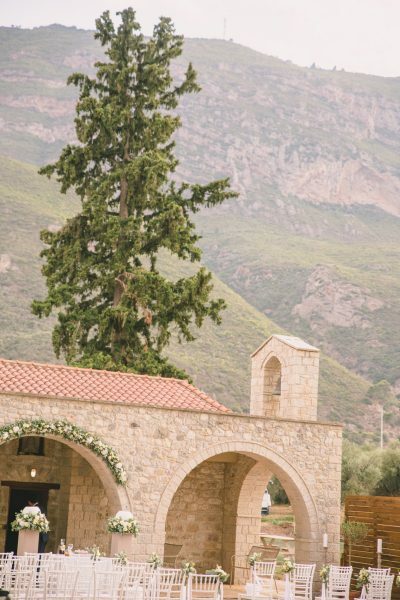 The wedding ceremony took place in the traditional Saint Tryphon chapel, in the hotel premises and the decoration was kept very simple. 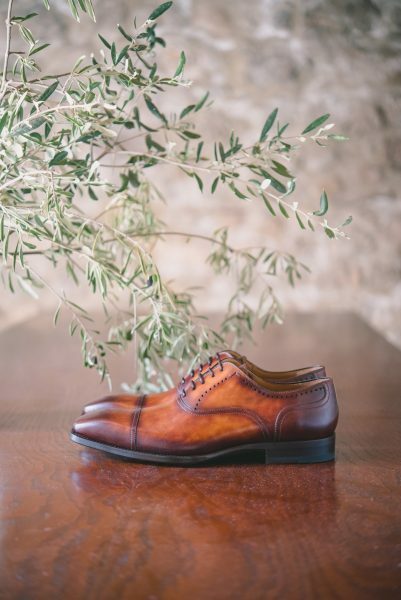 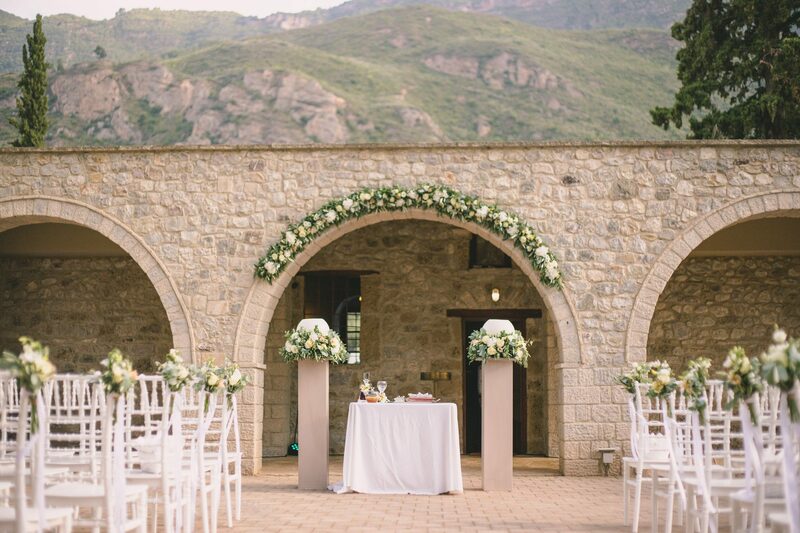 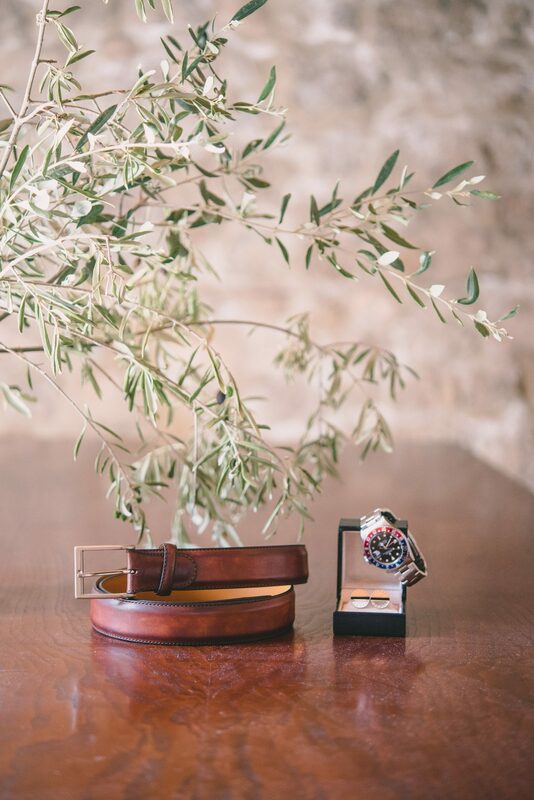 Since the Monastery was located in an olive grove, we felt that respecting the venue and the habitat would be the right thing to do. 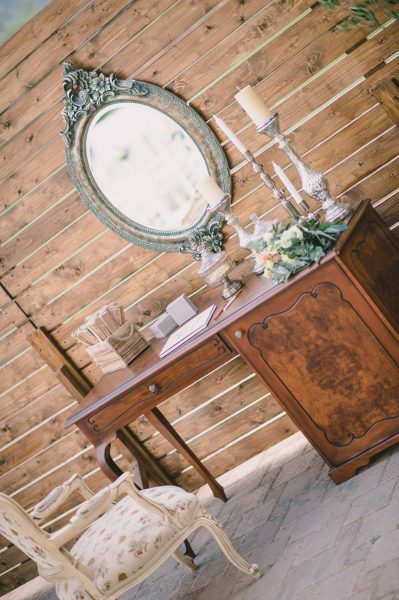 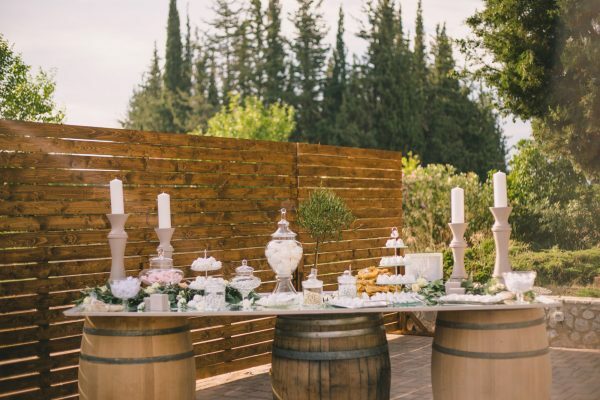 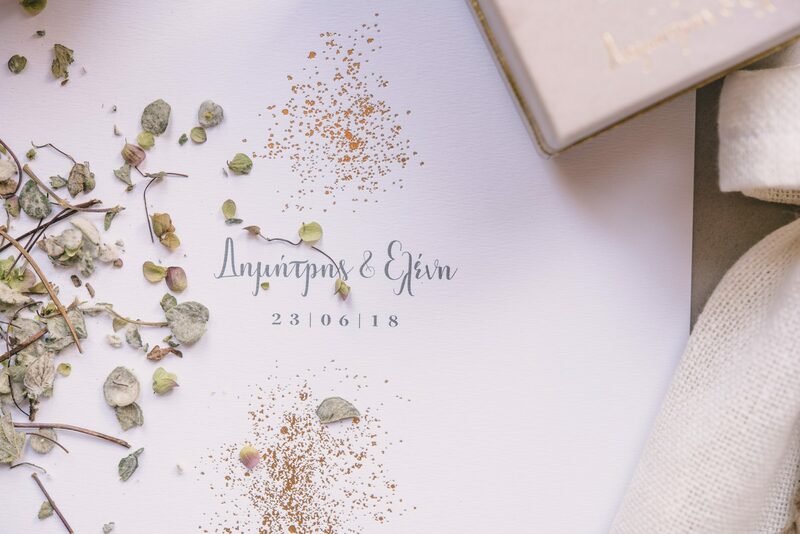 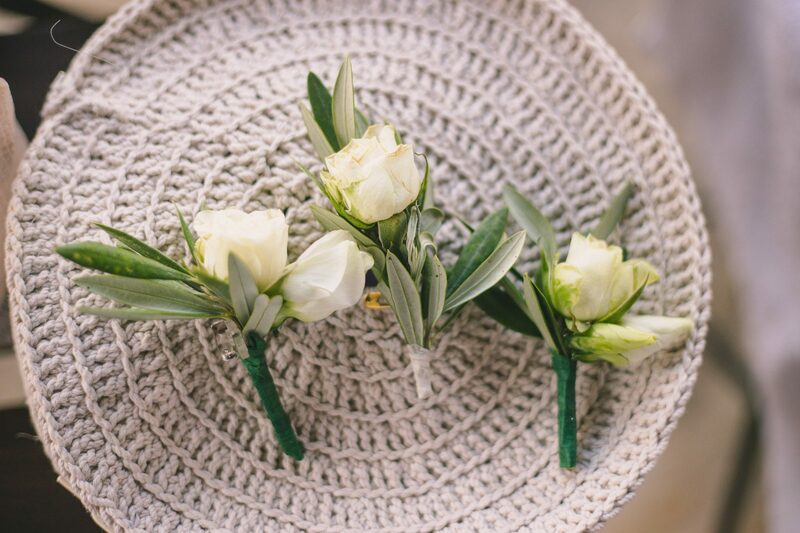 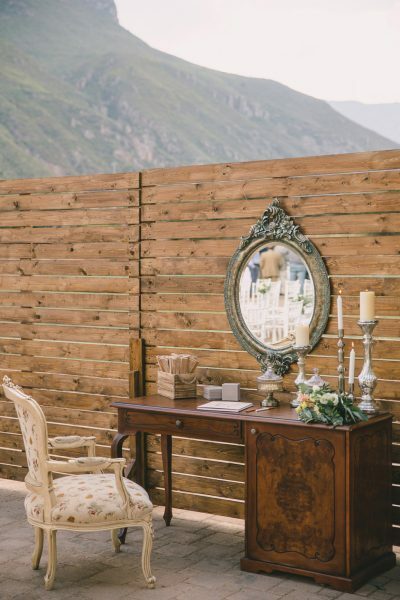 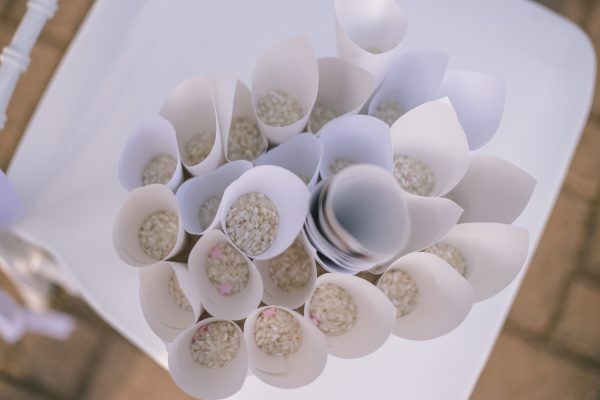 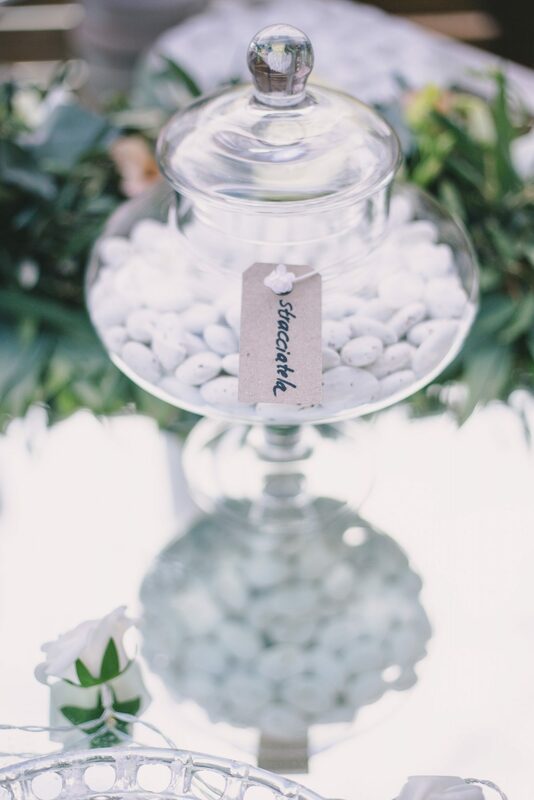 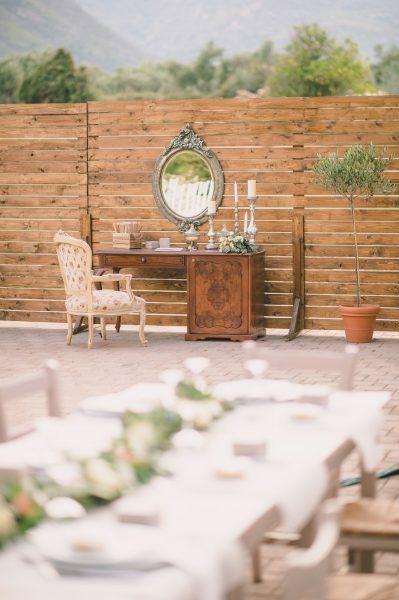 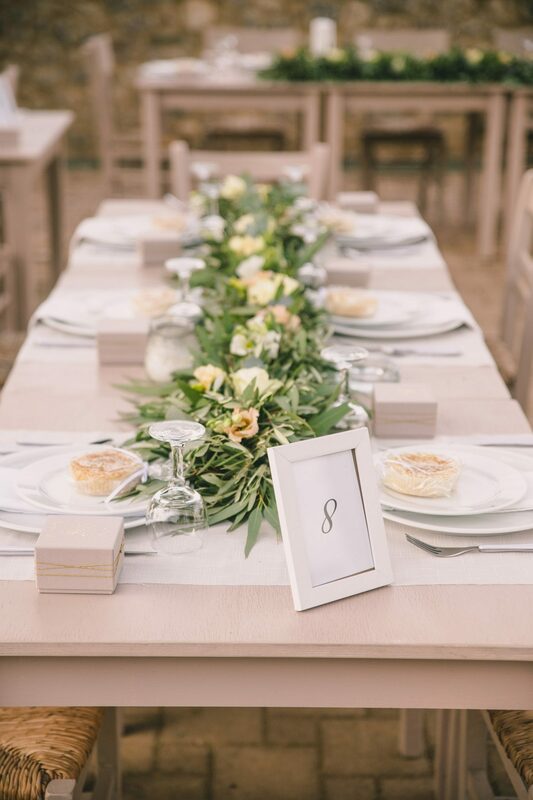 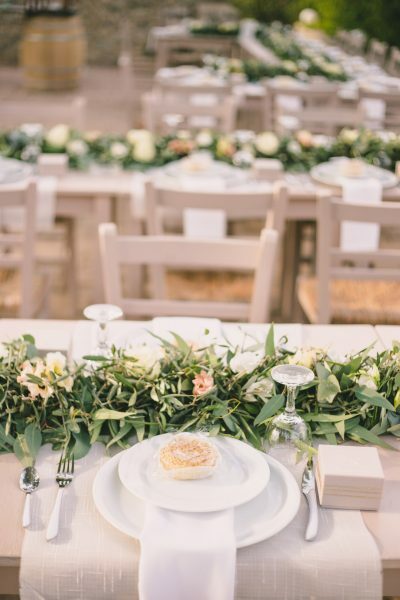 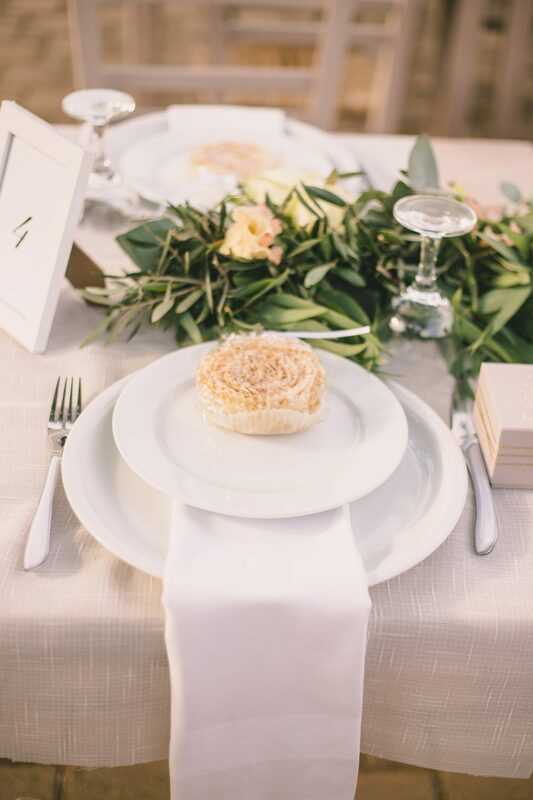 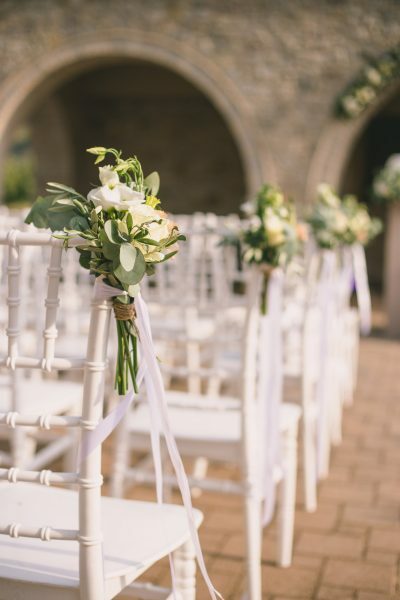 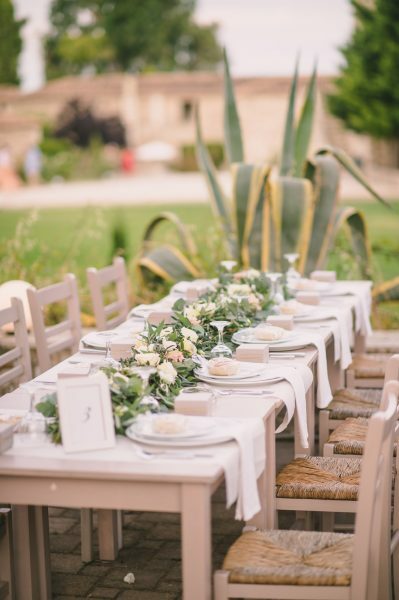 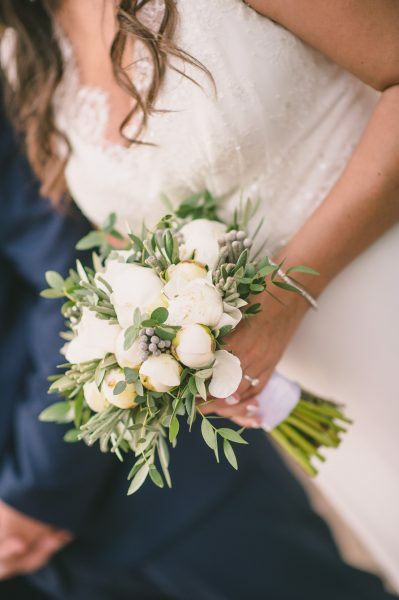 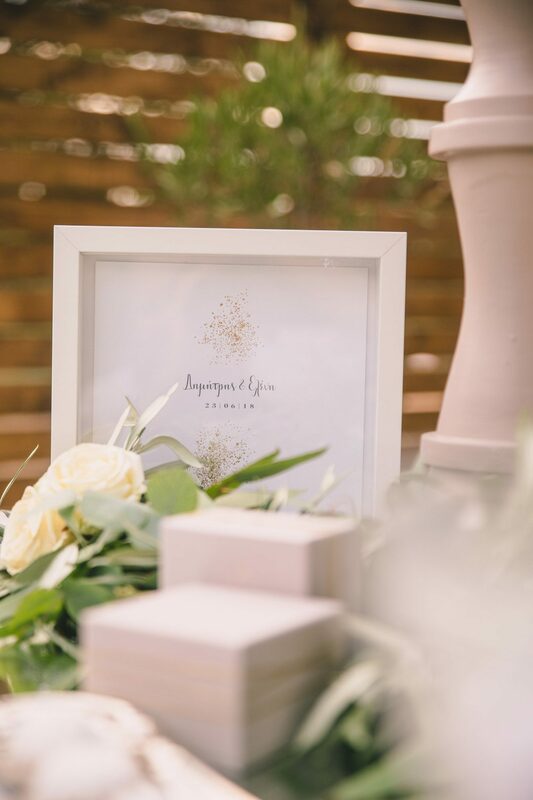 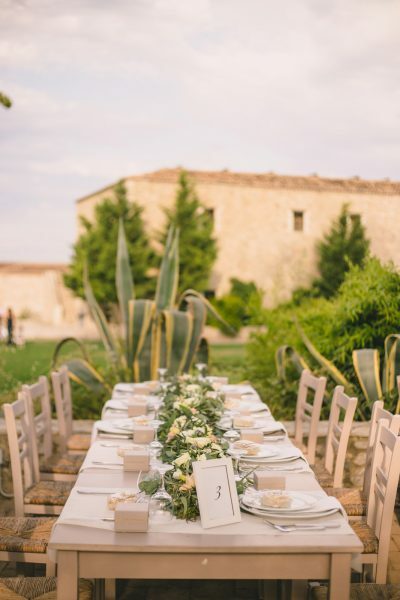 This meant that the decoration was consisted mainly of olive tree branches, eukalyptus, white button roses, lysianthus white and falda apricot, while vintage furniture added an elegant touch to the concept. 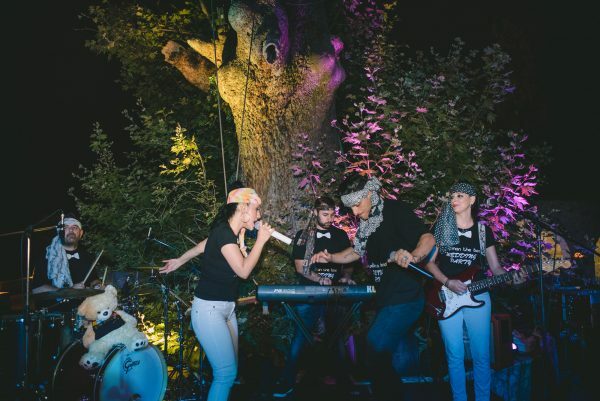 An upbeat band kicked off the party that lasted until early in the morning, and the three day event closed with an after-wedding brunch by the pool. 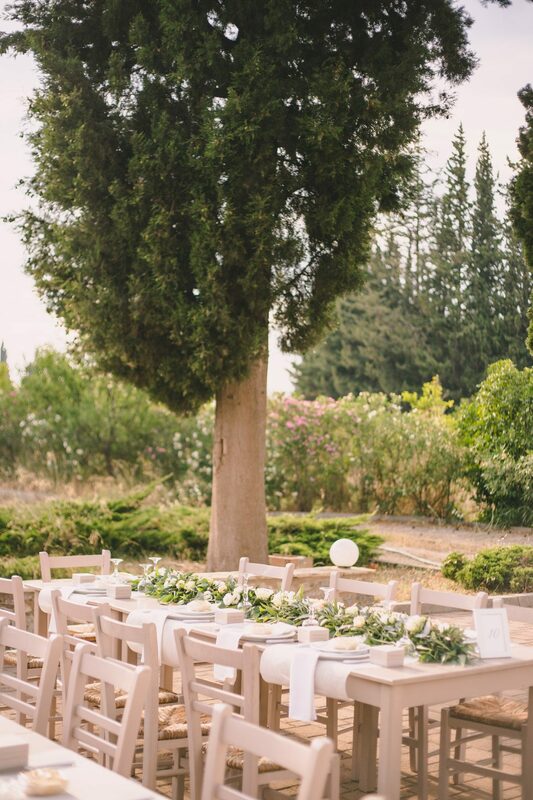 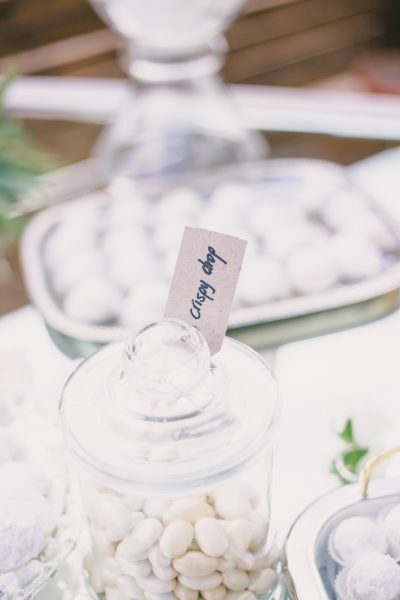 We couldn’t be happier with this marvelous wedding reception!